That includes The Expanse, the award winning science fiction drama series produced by Alcon Entertainment for Amazon Prime Video. 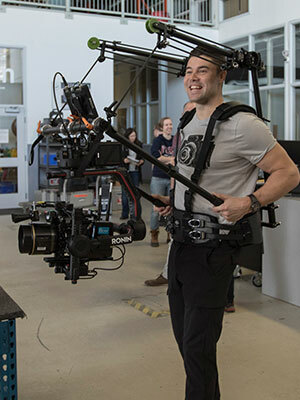 Benning has been Director of Photography on all three seasons working with regular camera and Steadicam operator Jason Vieira (The Handmaid’s Tale). They are both currently shooting season four. Based on the novels by James S.A Corey, the show is set in a future where humanity has colonised the Solar System and follows United Nations executive Chrisjen Avasarala (Shohreh Aghdashloo), police detective Josephus Miller (Thomas Jane), ship's officer Jim Holden (Steven Strait) and his crew, as they unravel a conspiracy that threatens peace in the system and the survival of humanity. The system is vital as a video assist tool allowing everyone from director to focus puller to concentrate on the shot. “Everyone has their own wireless unit so that the Atom’s signal not only feeds our director’s monitors, but also monitors for our focus pullers, operators, DIT and myself as the DP,” says Benning. Benning has subsequently adopted the Atom to shoot The Boys, an Amazon Prime Original. For the new superhero satire co-created by Seth Rogan and starring Karl Urban and Elizabeth Shue, Benning paired the Atom with a Red Helium.